Northfield, OH --- Next month, Northfield Park wagering fans across the continent will be in the green instead of being mellow yellow. Effective April 1, Pick 3, Pick 4 and Pick 5 wagers at Northfield will have a reduced takeout of just 14 percent, more than a one-third reduction from the previous rate. That will increase pool sizes on the multi-race wagers, according to Executive Vice President of Racing Dave Bianconi. 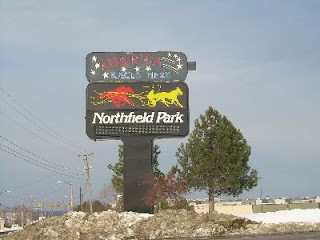 Northfield is also participating in a joint program with the USTA to guarantee $10,000 Pick 4 pools every Friday and Saturday in April. That one-two punch will increase returns to patrons and might even be enough to get Donovan Leitch to take a shot at the wager. The Pick 5 is a $1 wager conducted on races three through seven each live race night, while the Pick 4 is available on races 8-11. There are Pick 3 wagers offered on races 3-5, 6-8 and 9-11. Note: with more and more tracks jumping aboard lower takeout and/or special offers, we at HANA need some help (again!). We'd like to set up a player resource page, so horseplayers can have a place to find takeout changes, pool guarantees, etc. If anyone out there knows html, or has some web talent, and some time; please let us know info@hanaweb.org. Keep the heat on. It's working! I look forward to reductions in the exacta and trifecta pools one sunny day also. I'd like to know when they ae going to lower takeouts on WPS wagers as well; where moant players play. The win-place-show pools are the basic steppingstones for the new and casual players. The latter two wagering pools are clearly underperforming and should be the first ones to be tried with a 10% flat takeout rate in order to bolster business. Much to gain and little to lose. Tracks should get on it right away.